Looking to get away this winter?! Look no further than Pat’s Landing Resort! Located right along Snowmobile Trail #9 you’ll be in the thick of the action. Whether you want to ride the lakes all day, or hit the trails — wind up back at Pat’s Landing Bar & Grill to warm up with a famous Pat’s Landing Burger, hot drink special, or cold beer! Keep an eye out for winter specials, whether it’s a getaway for 2, or large group we’ve got accommodations! Not into snowmobiling? Hayward also offers other World-Class events! The A merican Birkebeiner event draws thousands of people every year to watch or compete in a 50-kilometer cross country ski race. 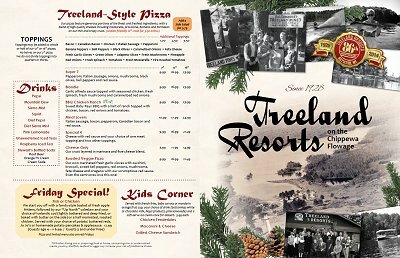 Treeland Resorts and Pat’s Landing offers lodging for those with Birkie fever! All of our cabins available have gas fireplaces for you to cozy up to after a long day on the trail! Competitors and spectators can soak in Jacuzzi whirlpools available in many of our cabins to soothe tight muscles and take away the chill. The Chippewa Flowage is also open for ice fishing during the winter months! Book a motel suite at Treeland, or a 2-3 bedroom condo at Pat’s Landing and get your ice shack out on the lake! Be sure to check out our event page for special winter events going on at Pat’s Landing, as well as Hayward Lakes event page for area events! We’ve got lodging for all your needs! Springtime on Chippewa Flowage means Wisconsin Fishing Opener! The following weekend Treeland’s and Pat’s Landing host the 34th Annual Treeland Challenge, a catch and release Walleye and Large Mouth Bass Tournament with thousands of dollars in prizes and door prizes at stake. The 3rd week in May we proudly take part in Wisconsin Fishing Has No Boundaries event! And of course the grand kick off into summer, Memorial Day Weekend! Treeland, Pat’s Landing, Oak Shores, Timber Kove and the Treeland Farm RV Resort offers discounted lodging rates in the spring. 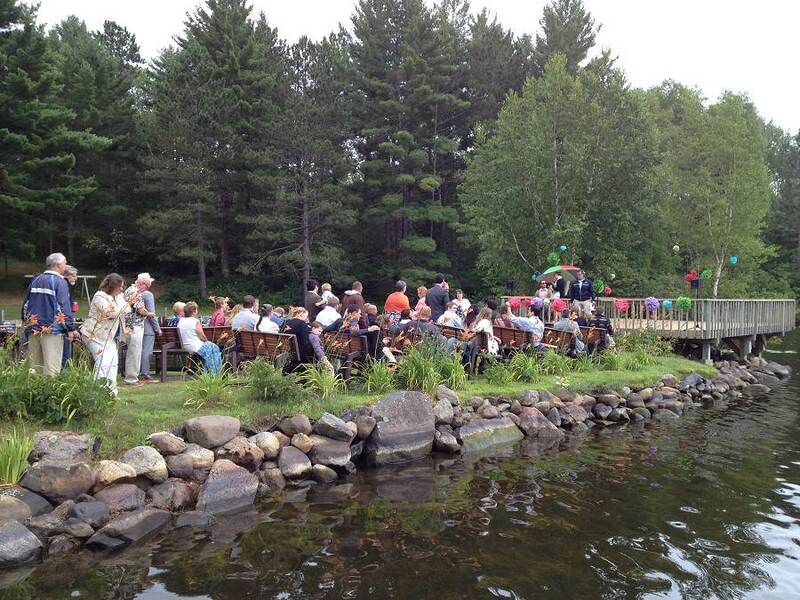 Who doesn’t dream of spending your summer on the Chippewa Flowage? Treeland Resorts offers 5 full service resorts, on the shores of “The Big Chip” so that EVERYONE can enjoy a piece of paradise! Whether you’re in an RV, looking for a small cabin or motel, or have a group – there’s something for everyone! Get out on the water for free if you’re a guest by using any of the kayaks, canoes, paddle boats, paddle boards or row boats – or rent a power boat from the Treeland Marina or Pat’s Landing Marina! The Hayward Lakes Area also offers many different events and festivals, so be sure to check out their calendar of events! Ah yes, the crisp, cool, beauty in the fall. No where else in the area will you see such beautiful color displays than from the shores of the Chippewa Flowage! Take yourself on a color tour, or enjoy it from your own deck or patio at any one of our five resorts! And as musky lore will attest to, the monster muskies really start moving in the fall, so don’t miss out on a chance to get your fish of a lifetime! Also you can take part in the annual Musky Hunt the weekend after Labor Day, or the Musky Fly Fishing Tournament the last weekend of October! Or for the die hard – die hards, the Fall Musky Bash, the first weekend in November! Whatever your hobbies, check out our full list of events!